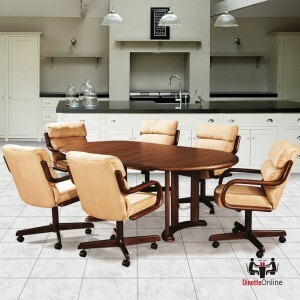 If you're looking for a quality dinette set manufactured by a company with a great reputation you should definitely consider a Douglas dinette set. 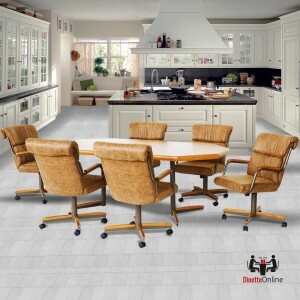 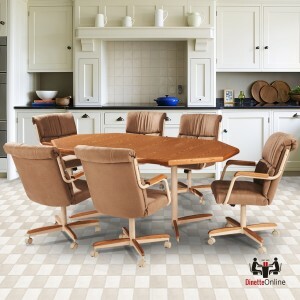 These sets consist of chairs that swivel, rock and roll and are matched with a durable laminate table with an 18" extension leaf. 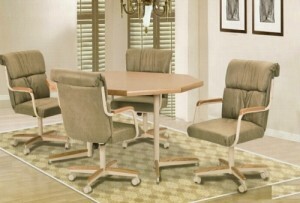 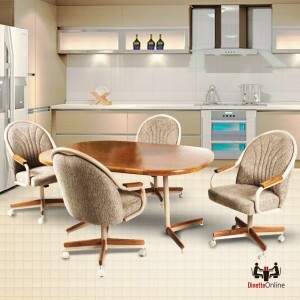 The dinette sets are available in all wood or beautiful metal and wood combinations. 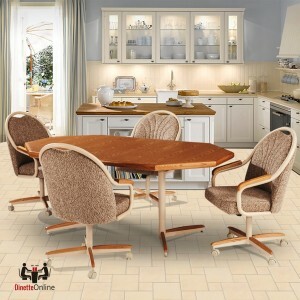 The Gina dinette set is one of the more popular Douglas sets made with a metal and wood combo and fabric upholstery. 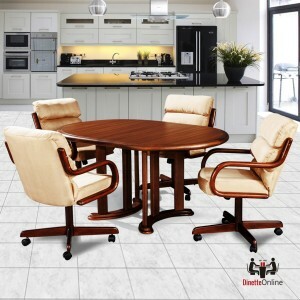 The Natasha dinette set is an all wood set made in a medium oak finish with vinyl upholstery that is a Douglas top seller. 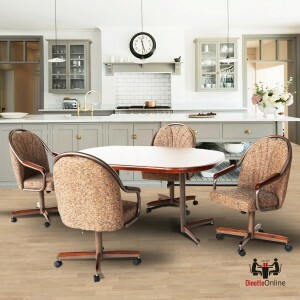 Purchase your new Douglas dinette set today at Dinette Online and we will have it shipped to your home with free premium delivery.